Australian of Legal Philosophy (forthcoming). American Criminal Law Review 56 (2019, in press). Fondation Léopold Mayer pour le Progrès de L’Homme (France). January 2018-December 2020 (€141,200 [approximately $157,300]) (under review). Calgary: Broadview Press, under contract. Internet of Things 1-2 (2018): 55-66. Journal of the Royal Army Medical Corps (2018). 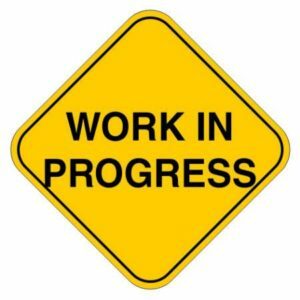 Journal of Law and Public Affairs 1.3 (2018): 58-91. 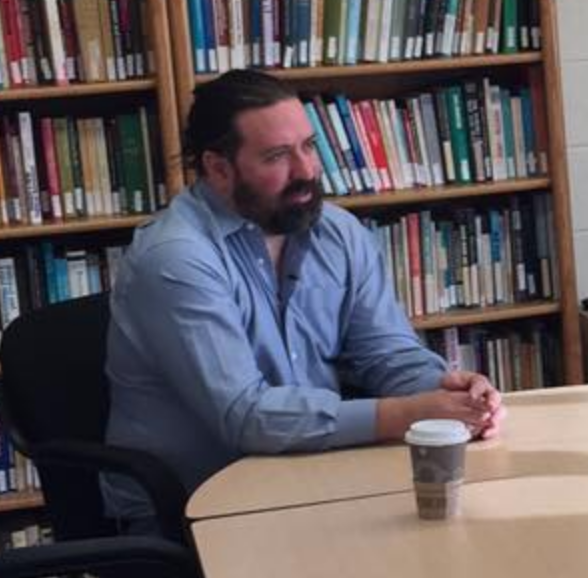 Fulbright Iceland-NSF Specialist Awards in Cybersecurity and Critical Infrastructure. Fulbright Specialist Program, Bureau of Educational and Cultural Affairs, U.S. Department of State. June 2018 ($12,104). National Science Foundation; Science, Technology, and Society. Collaborative proposal with Neil Rowe (PI) and Bradley Strawser, Naval Postgraduate School and Patrick Lin (PI), California Polytechnic State University. October 2013-September 2018 ($494,465). National Academies of Sciences, Engineering, and Medicine (solicited white paper, 2017). 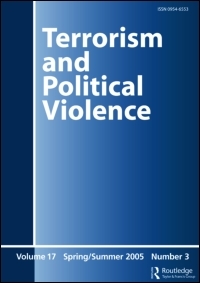 Journal of Military Ethics 16.1-2 (2017): 118-120. New York: Routledge, 2014. Hardback, xi+345pp. Paperback (2017), xi+345 pp. 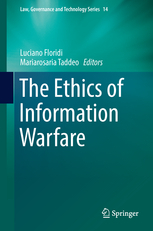 Journal of Military Ethics 16.1-2 (2-17): 124-127. Fondation Léopold Mayer pour le Progrès de L’Homme (France). January 2016-December 2017 (€25,000 [approximately $29,400]). 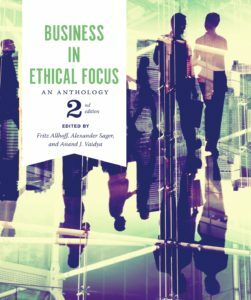 International Journal of Applied Philosophy 31.1 (2017): 45-67.
Business in Ethical Focus, 2nd ed. Calgary, Broadview Press, 2017. Paperback, xi+755 pp. Oxford: Wiley-Blackwell, 2010. Paperback (2016), xi+371 pp. Oxford: Oxford University Press, 2016. Hardback and paperback, xviii+320 pp. Fondation Léopold Mayer pour le Progrès de L’Homme (France). January-December 2015 (€14,000 [approximately $15,500]). 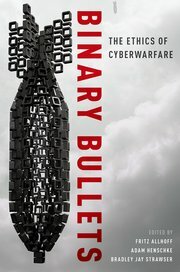 When Is a Real-World Response to a Cyberattack Justifiable? 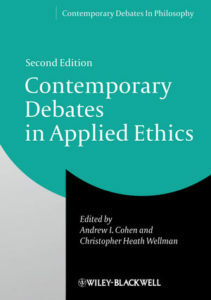 Andrew I. Cohen and Christopher Heath Wellman, Contemporary Debates in Applied Ethics, 2nd ed. (Malden, MA: Wiley-Blackwell, 2014): 247-259. National Science Foundation; Nanotechnology Undergraduate Education (NUE) in Engineering. January 2012-December 2014 ($199,997). 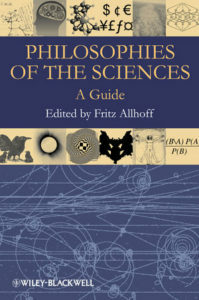 Fritz Allhoff and Mark Hall (eds.) 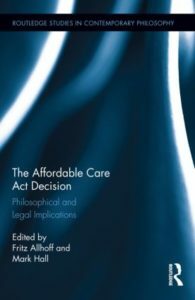 The Affordable Care Act Decision: Philosophical and Legal Implications (New York: Routledge, 2014), pp. 1-6.